Over the past few years major disruptions have occurred in HR and corporate structures and organizations. Recently, Deloitte conducted a comprehensive global study of human capital trends and published those findings in a robust report titled: Global Human Capital Trends (GHCT) 2016–The New Organization: Different by Design. According to the researchers, “Sweeping global forces are reshaping the workplace, the workforce, and work itself.” The findings in this report are incredibly relevant and important for professional recruiters to be aware of and potentially take action on. The data were compiled from more than 7,000 survey responses from corporate leaders in over 130 countries around the world. This blog post will present a few of the highlights from the report that will impact recruiting/hiring now and in the future. The knowledge and wisdom gained from this study are two-fold for recruiting agencies, corporate recruiters, executive search firms, and/or legal search firms: (1) The study offers ideas for how recruiting agencies might want to run their businesses, and (2) The investigation provides many ‘nuggets’ of information into how your potential customers are running their organizations. If you have this knowledge it can only help you gain an advantage in the hyper-competitive world of professional recruiting. Part of running a successful business is truly understanding the ‘business challenges’ that your customers face on a daily basis. The researchers begin by identifying 4 overarching changes that are affecting corporate structures: Demographic shifts (50-60% of workforce are millennials); Pressure for Increased Speed for Time to Market (rapid disruption of business models); Digital everywhere; and a Different Social Contract for Workers. The top 10 trends identified were: Organizational Design, Leadership, Culture, Engagement, Learning, Design Thinking, Changing Skills of the HR Organization, People Analytics, Digital HR, and Workforce Management. Three of these trends (Organizational design, Culture, and Engagement) will be discussed. After summarizing the high points of the report on these three key trends I’ll point out ways these items will specifically impact recruiting and talent management. One key point of departure identified, in the study, was significant changes in organizational structure. The authors concur, “as companies strive to become more agile and customer-focused, organizations are shifting their structures from traditional, functional models toward interconnected, flexible teams.” Another way to think about the trend toward teams would be viewing them through the prism of a Hollywood movie production team and less like traditional corporate structures. Essentially, akin to a movie-set, people are coming together to tackle projects, then disbanding and moving on to new assignments once the project is complete. The implication for professional recruiters is re-thinking your organizational design in order to parlay the benefits of teams instead of the more traditional structure focused primarily on individuals doing specific tasks. In other words, professional recruiters would be encouraged to work together to connect talented people with amazing opportunities, instead of working ‘alone’ to achieve these goals (presumably working individually on a list of candidates and clients). Looking at your organizations design: think about re-organization that includes “mission-driven” teams focused on customers, markets, or products. Perhaps it makes sense to assign a ‘team’ of recruiters/hiring managers to work on one specific job type or talent pool. Critically analyzing your rewards and goals: think about your performance management around ‘team performance’ and ‘team leadership’ rather than focusing solely on individual performance. Moreover, reward people for project results, collaboration, and helping others. If a team is assigned to find talent for a specific client incentivize a team of 5 to get 25 placements done this quarter (instead of placing the task of each individual recruiter to get 5 placements on their own). Implementing new team-based tools: put in place tools and measurement systems that encourage people to move between teams, and share information and collaborate with other teams. For recruiters this would mean structuring your firm in a way that encourages team members to work together to achieve company-wide goals for placements. Also, this would encourage communication and networking to ensure that the entire team/company is being successful. Allowing teams to set their own goals: teams should be held accountable for results – but let them decide how to perform, socialize, and communicate these goals among the team. Instead of managers mandating what the goals are, allow the teams to collectively and creatively come up with ways to be held to account for their performance measurable’s. Another vital trend in this study was the impact of culture on business strategy. The authors define culture as, “the way things work around here”. Also, culture is the system of values, beliefs, and behaviors that shape how real work gets done within an organization. As opposed to seeing culture as primarily an HR issue/problem, “CEOs and executive teams should take responsibility for an organization’s culture (with HR supporting that responsibility through measurement, process, and infrastructure).” Leaders should embody and actively engage in the kind of ‘culture’ they want their teams to reflect. Interestingly, 28% of survey respondents believe they understand their culture well, while only 19% believe they have the ‘right culture.’ Change is so prevalent for organizations in 2016 that an effective culture can be the determining factor for if an entity can successfully weather the storms of change. Prioritizing culture by CEO’s: Executives must clearly understand their company’s cultural values, determine how they connect to business strategy, and take responsibility for shaping them. Also, executives should routinely take their own inventory and analyze whether their own behaviors reinforce the desired culture. Understanding both the current and desired culture: critical for leaders to examine current business practices to see how, and if, they align properly with desired culture. If there are practices that are counter-productive they should be thrown out and new ones implemented that edify the desired culture. Measuring culture: Use empirical tools to understand employee attitudes and actions. HR should take the lead in this effort and get the results back to leaders for assessment (in a timely manner). And finally, yet another trend identified in this study was employee engagement (which is closely tied to culture). Engagement is, “how people feel about the way things work around here.” The researchers also note that engagement is, “…a strong focus on listening to employees, workforce health and well-being, job redesign, and an enterprise-wide analysis of all dimensions of employee engagement.” Most companies still only evaluate engagement on an annual basis (64%), but in order to be truly effective managers and leaders should, “be proactive, implement the right tools, and give business leaders a continuous stream of data … and promote a culture of listening, and ensure that reward systems are consistent with engagement and retention goals.” True engagement means being ‘always on’ and continuously listening for what employees want and need from their jobs. Engagement is also crucial because millennials are less loyal to organizations than ever before. Additionally, companies are tasked with a continued need to attract workers with technological and other specialized skills (as all companies digitize their businesses). And, finally, an organization’s employment brand is now open and transparent, so job candidates can easily see if a company is a great place to work (think of all of the “Best Place to Work” lists that are routinely populated on social media channels). Redefining engagement: By moving past the notion of turning your organization into a great place to work; also means “reaching down to the team and individual levels to foster highly engaged teams of employees doing work they love to do”. Creating a sense of passion, purpose, and mission: Providing free perks can be nice, but companies that succeed in having highly engaged employees focus on driving meaning, purpose, and passion among their workers. Linking compensation to engagement: Managers must get on board with tying team leaders’ compensation to their team members’ engagement. This sends a powerful signal and drives a sense of accountability about engagement efforts. Doing “stay” interviews: In addition to having ‘exit’ interviews to find out why employees are leaving, also use ‘stay’ interviews to learn what it would take for an employee to stay at a company. This article has outlined 3 of the 10 trends that the Global Human Capital Trends 2016 Report covers. 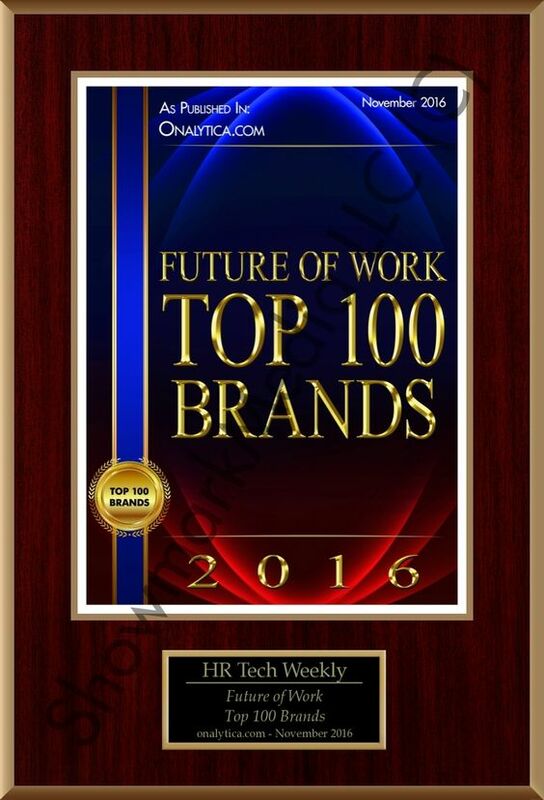 More highlights to come regarding HR trends that will no doubt have long-lasting impacts on professional recruiters. Suffice to say, the landscape of work is changing rapidly and it is critical that professional recruiters are aware of the trends and adapt their businesses accordingly. For more information on this study check out the Full Report. Not so long ago, emergence of personal computers has made new demands to professional skills of workers, and those who hasn’t mastered new equipment, has been literally swept away from the market of jobs. We have already forgotten it, but everything was quite so. The similar tendency is now observed. The world enters a new digital era and we are on a threshold of the fourth industrial revolution. Modern technologies radically change the way we do business, and again make new demands, now not only to knowledge and skills, but also to the ways of thinking in constantly changing environment. New technologies change behavior of employees: how they think as they work, what does motivate them and by what values they profess. At the same time, not only new technologies change behavior of employees, but also they change ways of their working behavior. Huge forces radically change internal processes in the organizations and a working environment what we know it. The increasing influence of globalization and need of continuous manifestation of flexibility in the permanent turbulence will lead to the fact that the future of work will have a little in common with what we have today. Social networks, mobile applications and cloud computing become a global tendency and the keynote for the development of modern HR technologies. HCM systems supporting employees on the lifecycle in the organization from graduate recruitment to retirement, analytical modules based on Big Data, advanced recruiting tools with technologies of logical and semantic search, and so on so forth. The sphere of human resource management became more innovative than ever before, and all attentively observe what else new solutions vendors will present. Everything occurs extremely promptly, and people in HR aren’t always in time behind emergence of new functionality and business priorities. At the same time the gap between tendencies in development of HR technologies and actual competences of HR managers is observed! In the nearest future we should seize more complex and integrated HCM systems, embrace mobile technologies as a platform, master social recruitment and digital marketing, study statistics and analytics, gain more profound scientific knowledge about behavior of a human being. We are on the threshold of important changes. HR managers are expected not only to master and adjust their skills, but also pro-actively develop a new organizational culture. The world changes promptly, but not evenly and if someone doesn’t notice these changes, then it doesn’t mean that they don’t happen. To stay on demand and be successful in the modern world it is necessary to follow in the waterway of mega-tendencies. In other words, to remain on the place it is necessary to run. If to run long, then by all means you will get to other place. The main thing is to choose the right direction. 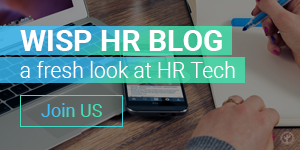 If you want to share this article the reference to The HR Tech Weekly ® blog and Alexey Mitkin is obligatory. Written by Mary Sue Rogers | Originally published at Save HR blog. We hear the term digital native on a frequent basis. And the CHRO receives a lot of input on how to make the systems and process of HR fit for a digital native. And the assumption is that a digital native is one that grew up with the Internet, smartphones, Facebook and similar. But is that the definition of a digital native? Or is a digital native more a state of mind and how you reach and use the technology around you? The latter is the theory put forward by Constellation’s researcher Alan Lepofsky – Segmenting Audiences by Digital Proficiency. As I am not a paid up member of Constellation I can only get the abstract, and then supplemented that with the Bill Kutik’s Firing Line interview with Ray Wang. I am sure the full paper is excellent based on the summary. So Alan’s premise is that how knowledgeable you are in the use of digital tools and how comfortable you are in using them determines your level of digital proficiency and therefore whether you are a “digital native”. Like all good consulting models – it starts with a four-box model that is Y axis of Comfort and an X axis of Knowledge. And like all four box models – the top right-hand corner are individuals who have lots of knowledge regarding digital, they are good at it, and they want to use it. The bottom left-hand corner is those that are not good at it and don’t want to use it. You can fill out the others. And then based on these characteristics, Alan has developed names for the various types of digital users. Natives – the top right-hand corner. Know how to use the technology and enjoy using it. Not an age definition but one of knowledge and comfort. Holdouts – the bottom left-hand corner – those individuals that don’t want to use technology and don’t like doing it. Again I know people at a wide spectrum of ages that meet this definition. Immigrants – these are individuals that want to be good at it but are not there yet. They are comfortable with the technology and want to learn. My mother-in-law at the age of 80 would fall into this category. Disengaged – those that are good at it but don’t want to use it. I know many individuals in this group, especially millennials. Voyeurs – Those that wander between the various quadrants depending on their mood and the subject. If this segmentation is used instead of the one described digital natives instead of age – then perhaps we can be more focused on what type of employees we do have, and what is the right thing to do for our business around digital, social, learning and culture. Constellation Research recommends using a combination of a person’s knowledge and comfort level with technology, a characteristic referred to as Digital Proficiency. Read more in Who Are the Real Five Generations in the Workplace? Bill Kutik‘s article on the subject, posted on Human Resource Executive Online. 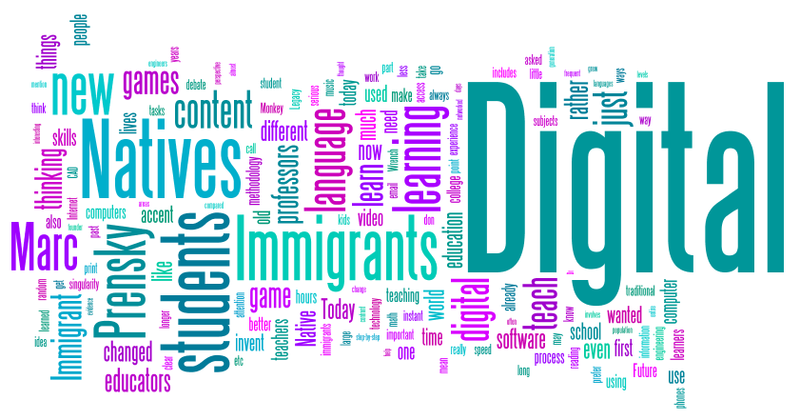 Image – Word Cloud created by Marc Prensky.